Gary Koch enjoys success as a world-class golf player, noted golf course designer and television broadcaster. 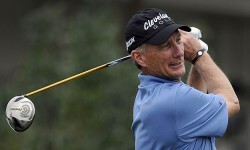 As an amateur, Gary won the Florida Open in 1969 at the age of 16. He won the U.S. Junior Amateur in 1970. He was a three-time All American at the University of Florida and member of the 1973 NCAA Championship Team. Gary represented the United States in the 1973 and 1975 Walker Cup Matches and was a member of the 1974 World Amateur Cup team. Gary won six events as a professional on the PGA Tour. His career year in professional golf came in 1984 when he captured two of the Tour’s most prestigious non-majors: the Isuzu-Andy Williams San Diego Open and the Bay Hill Classic. 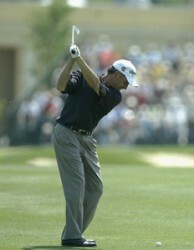 In November 2002, Koch began playing on the Champions Tour and continues to compete on that tour today. Koch’s career as a sportscaster started in 1990 with ESPN as a commentator and analyst on ESPN golf telecasts. Since 1997, Gary has been a member of the golf announcer team at NBC-TV Sports for PGA Tour events, USGA major tournaments and the Ryder Cup matches.